Sellers Tile Distributors was established in 1965 as a family owned business that has grown to six showroom locations in Georgia and Florida. Our reputation for quality products and first class service have thrust us to the front of our industry and we continue to do business in the same manner today. Our team is made up of hard working, dedicated employees that believe quality service comes first. If you have not done business with Sellers in the past, or are an existing customer, we welcome the opportunity to serve you! Because we direct import, we are more than competitive in pricing tile, wood, and carpet flooring. 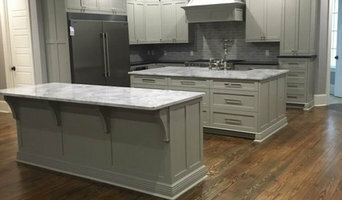 We also offer a wide selection of granite, quartz, and other solid surface materials, as well as custom fabrication and installation; all at very competitive pricing. If you would like to know more about Sellers or any of our products and services, please contact us toll free at (800) 532-8453 for more information. Whether you need cabinets, flooring, lighting, or a complete kitchen or bathroom remodel, Pool Brothers is here to serve you. Our expert team will work with you to create a beautiful living space that meets your unique needs, style, and budget. We aim to bring you the best design, craftsmanship, and quality products possible -- while managing all aspects of your project so you're free from the fuss and headaches of dealing with contractors. We’ll treat your home like it’s our own, keep communication flowing with you throughout your project, and work to provide the highest possible levels of customer care from start to finish. Cabinets: From new home construction, to remodels, to DIY projects, we can help you transform your home with gorgeous kitchen and bathroom cabinets. Flooring: From carpet and tile, to real or synthetic hardwood flooring, we've got your floor covered. Lighting: We provide stunning lighting options that are perfect for new construction, remodeling, or simple lighting upgrades. 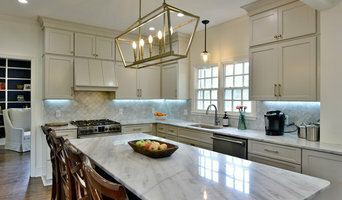 Kitchen Remodel & Bathroom Remodel: From dream, to design, to reality, we take the headache out of your remodel and guide you through a proven step-by-step process that results in the kitchen or bathroom of your dreams. 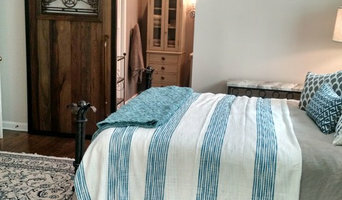 You can learn more and view our growing portfolio of projects at www.poolbrosflooring.com! Specializing in design and construction of residential and light commercial buildings. Flint River Log Homes is a family owned business with over 25 years experience building log homes. We ensure that each homeowner receives top quality personal service through out the building process. We can offer you custom drawn home plans, a full design center for selection of flooring, cabinets, windows and doors and quality workmanship for construction. Our building services are not limited to log homes, we offer conventional homes, SIP homes and full remodel services for your existing home. Contact us for for all your building needs even if you just need materials for your own DIY project. Butler Commercial and Residential Make Ready Services, LLC is a professional construction company based in Fort Mitchell, AL. We offer high-quality commercial and residential construction services, including home remodeling, roofing, framing, painting and more. Contact us for affordable construction services now! Raymond Strickland Construction LLC is a build and design company in business since 1996. We specialize in new home construction and renovations. I also run AutoCad and Revit (3D modeling). Strick LLC offers 22+ years in the design of homeowners personal dream home, but also can customize plans pre selected by clients to maximize the efficiency and design of your plan. I am hands on with projects and you will often find me with my tool belt on directly overseeing the construction of your home or renovation. Please feel free to contact us for a free estimate. Raymond Strickland 850-508-1714 strickllc@gmail.com raymondstricklandconstructionllc.com & on Facebook. Building Your Dream. We can turn your Dream Home into reality. 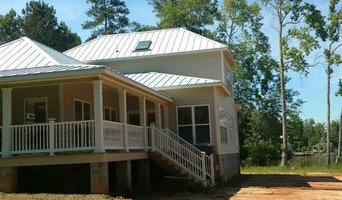 We are professional homebuilders handling every aspect of your New Home Construction, from groundbreaking to turnkey. Turner Brothers Construction provides general contracting and construction for all your residential and light construction needs. We have proudly served Dooly, Crisp, and surrounding counties since 1977. Contact us today for a free consultation. Big Jobs, Small Jobs, Any Jobs, All Jobs - 35+ years experience. Free estimates. References provided. Guaranteed work. Fair prices. Quality you can trust. Call for an estimate today! When it comes to Kitchen Remodel, Outdoor Kitchens and Home Repairs, no one compares to DHB Home Services, LLC. With years of combined experience, DHB Home Services, LLC. has worked hard to build the trust of our clients in Bainbridge, Colquitt and Blakely and beyond. Visit our website to learn more. Or better yet, click the link and call us today!